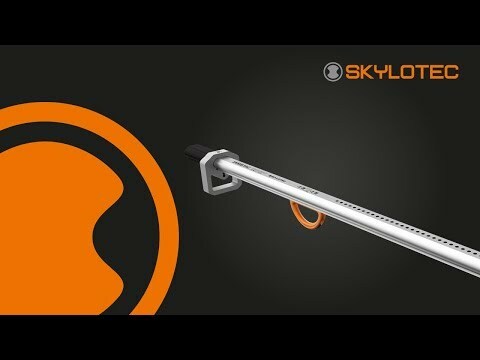 Permanent fall protection from SKYLOTEC is a component of personal fall protection systems. Personal Fall Protection Equipment (PPFE) can be attached to the anchor point on the anchor system. These systems allow you to climb safely up or down to any height or depth on installed vertical ladders or to move around on horizontal systems in areas where there is a risk of falling. Permanent fall protection can be used, for example, on towers, chimneys, elevated tanks, bridge pillars, masts, antenna masts, machines and operating facilities, high-bay storage and industrial facilities, buildings and façades, shafts, mines and water or sewage tanks. SKYLOTEC offers secure and reliable complete systems for existing and new projects.